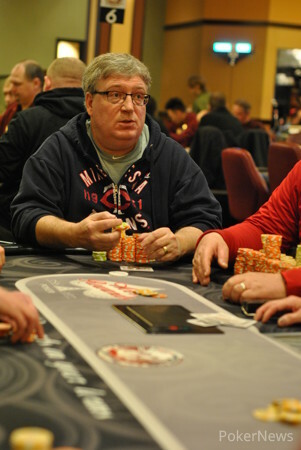 Prior to Sunday night, Ervin Bjerga of Motley, Minnesota had $41,834 in live tournament earnings, most of which ($30,305) came from finish third in the Mid-States Poker Tour Running Aces Harness Park back in September. Evidently, he spent the next five months working on his game because he didn't fall short of the finish this at the property's latest stop, topping a field of 354 to take down a $91,941 first-place at the tour's second event of 2015. 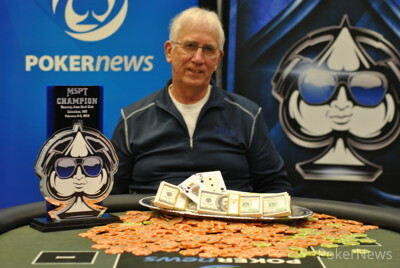 The Minnesota native, whose only other with was in a $100 No-Limit Hold'em Bounty tournament in Walker, Minnesota, emerged victorious after one of the fastest final tables in tour history, clocking in at just over three hours. Seventy-one runners from the two starting flights took the felt for Day 2 with Bjerga beginning the day 12th in chips. Recognizable players such as Todd Breyfogle, Tony Lazar, Kou Vang, Mark Sandness, Jeremy Dresch, Nick Pupillo and Jeff Fielder fell before the money bubble, which approached after just three hours of play. That is when Derek Crooks' held in a three-way all-in hand against his opponents' and , which secured the remaining players a payout. As the final table bubble loomed, Bjerga sat on a stack of 379,000 at Level 24 (12,000/24,000/4,000). He opened for 162,000 in the small blind and then called the big-blind shove of reigning MSPT Canterbury Park champ Peixin Liu, who tried forcing Bjerga out with the . Liu was in decent shape though as he was racing against Bjerga's . A run out of kept Bjerga in business, while Liu bubbled out a few hands later in 11th. Bjerga went to the final table fifth in chips, and action blazed right off the bat as James Gibson busted in 10th. Bjerga then doubled up with kings against the tens of Ken Heathcote before eliminating David Mandt in a flip. John Reading (eighth), Ernest Garrett (seventh), and Heathcote (sixth) were eliminated in quick succession before another monster pot went Bjerga's way — he sent Mark Hodge and Terry Ring packing in fourth and fifth place respectively — when each got all in with ace-nine suited against the of Bjerga, who faded the shared overcards for a double knockout. 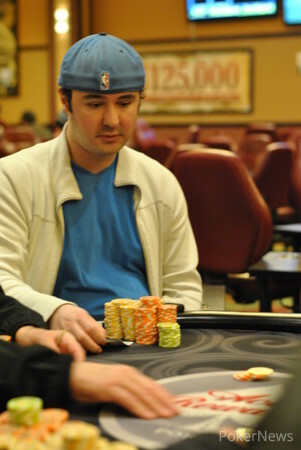 The score marked Hodge's third straight MSPT final table. Famed limit player Mike "Schneids" Schneider bowed out in third place when he jammed the over a button raise from James Maxey and a call from Bjerga, only to be looked up by Maxey's . Maxey flopped a set and that was all she wrote for Schneider. Heads-up play began with both players holding more than sixty big blinds at Level 27 (25,000/50,000/5,000), but things escalated quickly as both players approached the match aggressively. Maxey bet 150,000 on a board of after Bjerga checked back the flop, and Bjerga raised to 400,000. Maxey called and then bet out 550,000 on the river, and he tank-called Bjerga's shove only to be shown for kings full. The MSPT will be back in a couple of weeks for another stop at tour mainstay Ho-Chunk Gaming for the Wisconsin State Poker Championship. Visit mspt.com for more information. In a single-raised pot, Ervin Bjerga checked back a flop. James Maxey bet 150,000 on the turn, and Bjerga raised to 400,000. Maxey called, and the hit the river. Maxey opted to lead out with 550,000. Bjerga waved a hand toward the pot and said he was all in. Maxey tanked for a couple of minutes, mostly staring at his opponent. Finally, he voiced a call. Bjerga flipped for kings full, and Maxey lifted up his cards and tossed them to the muck before congratulating his opponent. James Maxey raised to 125,000 on the button and Ervin Bjerga called. Mike Schneider shoved in from the big blind for about 1.1 million, and Maxey called. Bjerga mucked. Maxey had Schneider crushed, and things got really grim for the limit hold'em crusher after flopped, giving Maxey a set. That prompted Schneider to leave his seat, and he was drawing dead on the turn. Ervin Bjerga raised to 125,000 under the gun and got a call from Terry Ring on his left. 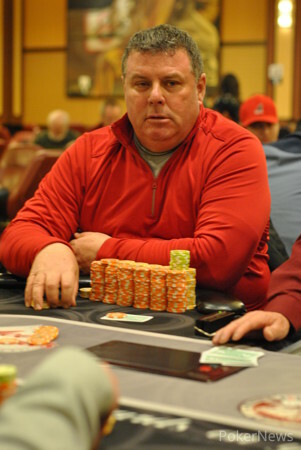 Mark Hodge moved in from the big blind for 425,000 total. "Call," Bjerga said after getting a count, though he didn't seem thrilled. Ring quickly called off for less, about 400,000. It was a dream scenario for Bjerga. "Oh no, what are we doing?" Hodge said. "Chopping I hope," Ring said with a laugh. No such thing occurred as the board ran out , and Bjerga now has about half of the chips in play. 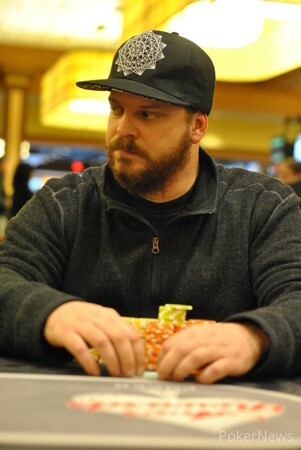 For Hodge, the elimination ends his tournament, but he has now built a remarkable streak of three straight Mid-States Poker Tour final tables dating to the end of last season. Ken Heathcote dropped a reraised pot to James Maxey and a single-raised pot to Ervin Bjerga, sliding down the counts to about 740,000. Shortly after those pots, he opened to 130,000 in middle position and got a call from Terry Ring on the button. Mike Schneider shoved all in with about 900,000 in the small blind, covering both opponents. Heathcote sighed and announced a call after some thought. "S***," Ring said. He mucked face-up. "Nice hand," Heathcote said. The came out of the deck, and the former chip leader hit the rail after the rapid slide.